The French Army at Dien Bien Phu built a series of defensive strongpoints with blockhouse, protected by trenches and barbed wire. The French Army find it increasing difficult to launch raids into the surrounding country as the Viet Minh pour troops into the hills overlooking the French base. 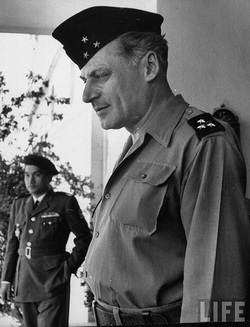 A biography of General Cogny the commander of the French Army in North Vietnam. The French Army launch an offensive in Central Vietnam.